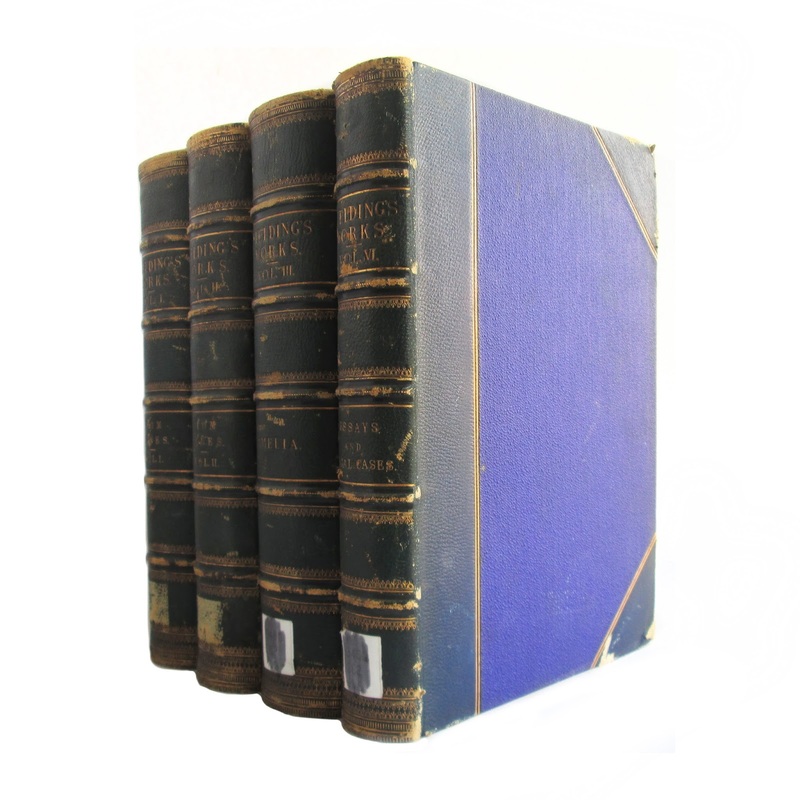 This antique hardcover set of Fielding is bound in royal-blue cloth boards with dark blue leather spines and corners. 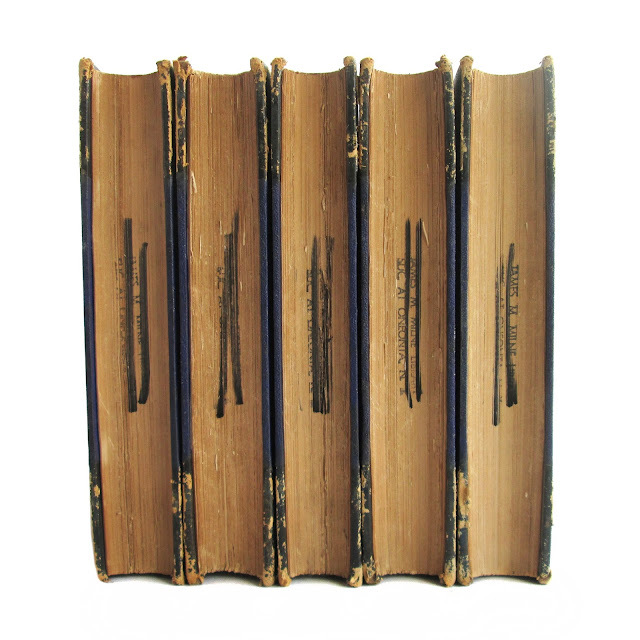 Spines have five raised bands trimmed in gilt, with gilt decoration and lettering. 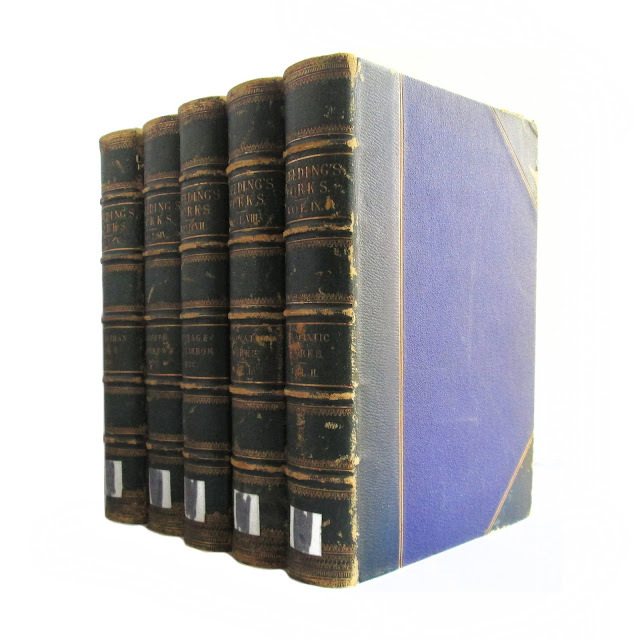 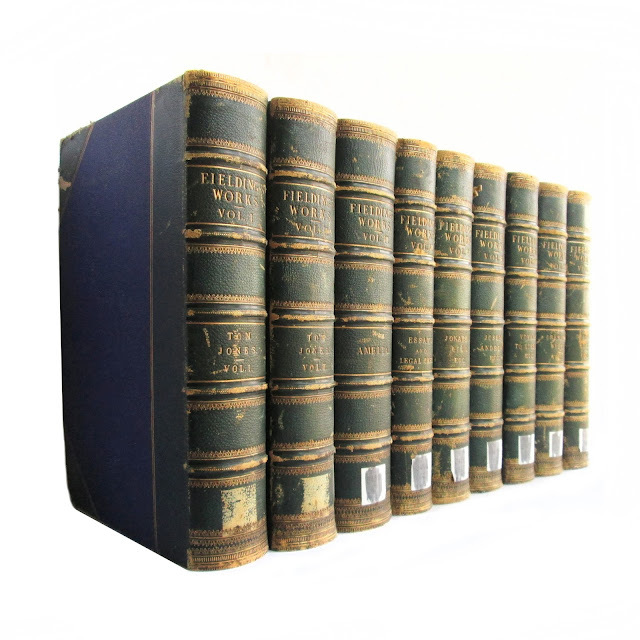 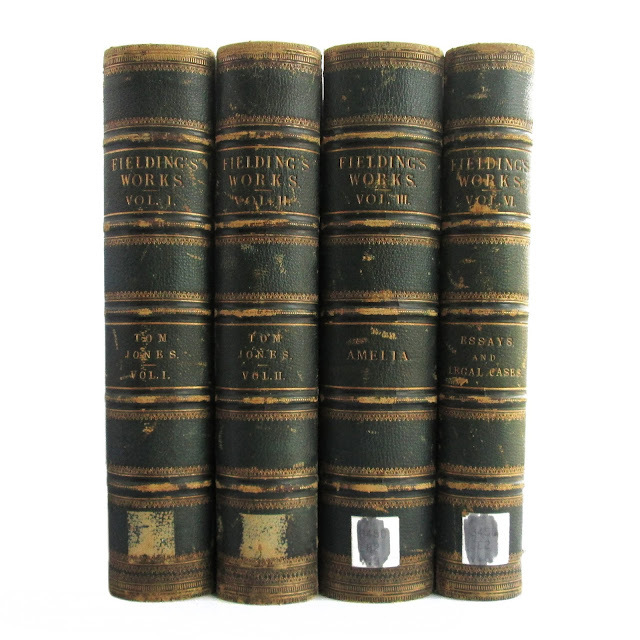 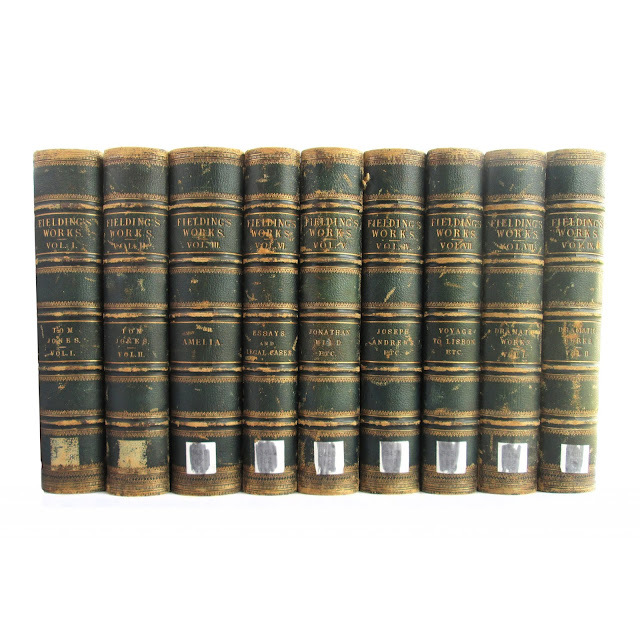 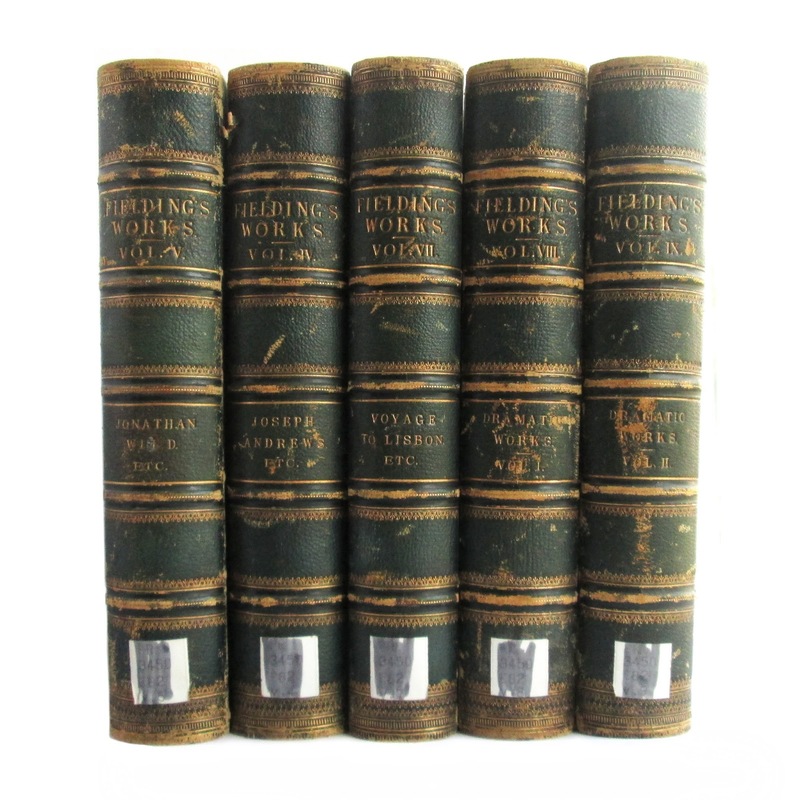 This is a complete, 10-volume set containing the works of Henry Fielding. It is an ex-library copy., with typical library markings: spine labels, stamps, etc. 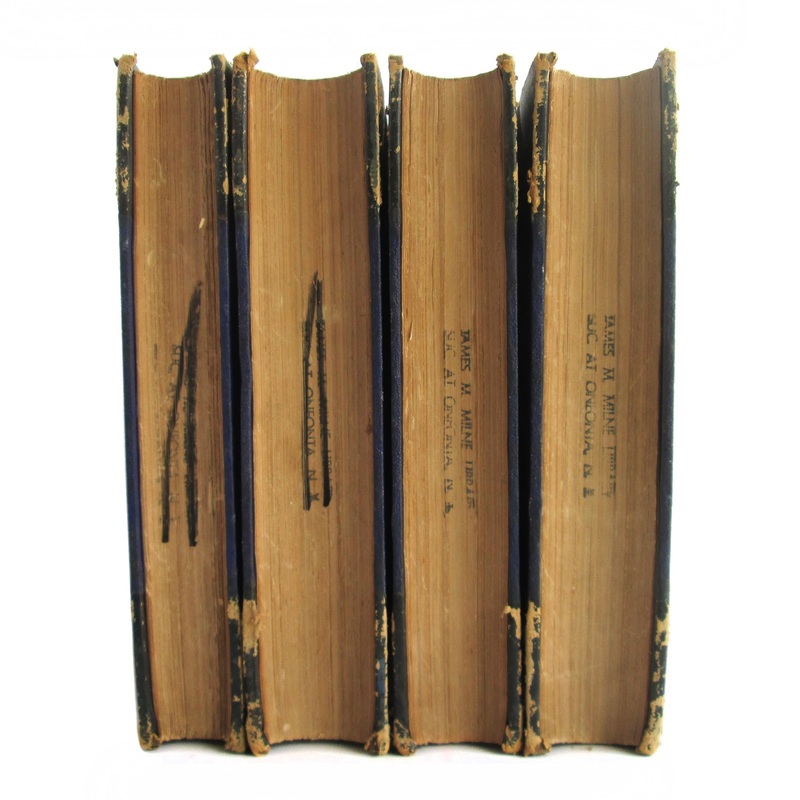 Spines have some wear, there is some cover soil, stamps within, etc., but most inner page are clean, bindings are tight. 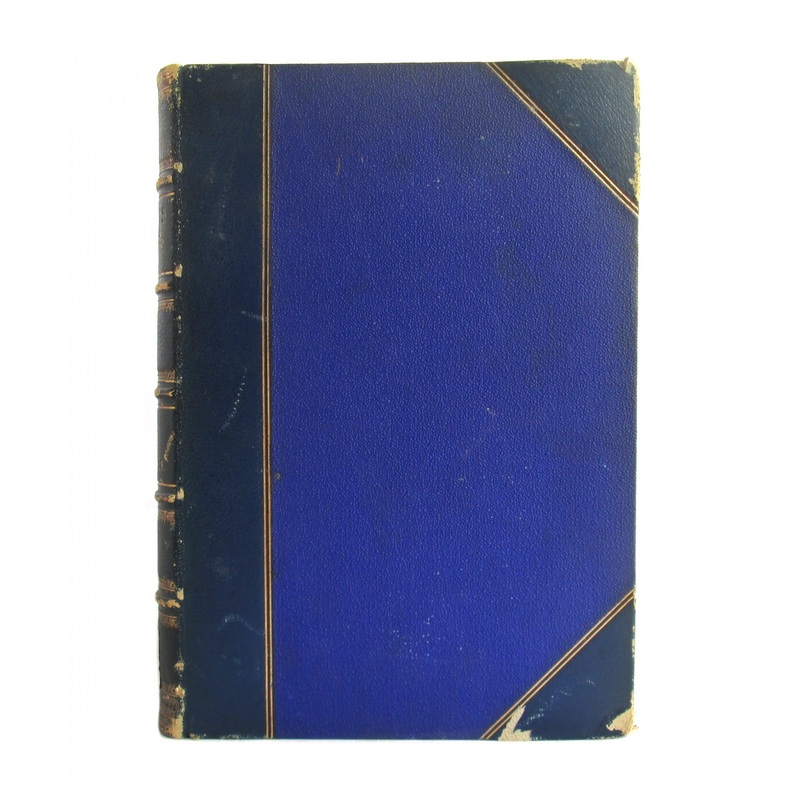 This is a limited edition, numbered #240 of 250. Each volume is approx., 500 pages, 7"x9"
THE WORKS OF HENRY FIELDING ESQ.